The class-consciousness of workers in France is diminishing. As early as 1978 opinion surveys revealed a strong unease that went with the sense of society falling into crisis. The most important factors for the preservation of class-consciousness, according to social scientists Guy Michelat and Michel Simon, were the existence of relatively unified and solidary collectives at the lower societal levels (workplace, neighbourhood), and the presence of strong organizations (trade unions, political parties), which were able to assert workers’ interests in the political and social spheres, and by whom workers felt themselves to be represented. In the course of the 1980s the sense of belonging to the working-class fell apart. This accompanied structural changes in industry; persistent mass unemployment with its destructive effects on individuals and collectivities; and a consequential social consciousness. In the process, the Parti communiste français (PCF) suffered its greatest loss of support, above all among the most leftwing sections of the population, who as a result turned to the Parti socialiste; while the ideology of liberalism began a decade-long stretch of popularity. The downward trend in the membership numbers of the PCF is striking in a negative sense. In 1979 the party still had more than 700,000 dues-paying members, but by 2001 it was down to some 139,000. From the 1990s onward confidence in institutions began to erode. This was accompanied by a sharp turn toward collective forms of action and a “second break” with leftwing political parties. This time it was the Parti Socialiste that was affected. Voter abstention by the “classe populaire” became subsequently particularly pronounced. This went hand in hand with the further retreat of class references, but did not lead, for the main part, to support for the Front National (FN). That the sense of belonging to the political left in the old PCF strongholds was not completely lost is revealed by the “Red Belt.” This refers to the Parisian suburbs that have been stable strongholds of the left since the 1920s. The PCF is still the source of several mayors and even parliamentarians. However, the election of leftwing candidates is more often due to cultural reasons, in as much as programmatic convictions. As a result, in these municipalities the election results for the PCF or candidates that are supported by the party, though still up to 15 per cent above the national average, are nevertheless below those of the FN; though voter participation hovers at around 10 per cent below the national average. The oppositional polity, which once existed under the leadership of the PCF in red municipalities such as St. Denis or Gennevilliers, has hence disappeared. At the high point of the labour movement and the “Fordist class compromise” this made it possible to combine revolutionary rhetoric with reformist municipal policies. This led not only to the substantial expansion of social infrastructure, but also to the formation of cultural and associational politics driven by the labour movement; in the meantime, the communist mayors unconditionally supported workers in their struggles against the large firms. Nevertheless, the deindustrialization of the Parisian suburbs since the end of the 1970s has repeatedly narrowed the capacity of the municipalities to act. With the “bursting” of the Fordist wage-labour society, “municipal communism” more and more lost its progressive substance. Instead of aligning with workers as before, the mayors now strove to establish good relations with the remaining firms, in the hope of rescuing at least a small economic base. Within these firms, the outsourcing of their operations became ever more significant, while competition between temporary workers and permanent employees thwarted the development of workplace solidarity and caused trade union activity to go awry. Class struggle has been displaced by the struggle over jobs. The estrangement between workers’ parties and the dominated class has progressed in such a way that in many districts of St. Denis a third of voters are not even registered in their districts. These “falsely-registered’” represent the largest portion of non-voters. Workers do not vote for the Right for the main part but tend toward abstention. During the April 2002 presidential election 31 per cent of workers did not cast a ballot. Moreover, 29 per cent voted for a left party (including the Greens), 22 per cent for a traditional rightwing party, and “only” 16 per cent for Le Pen. Michelat and Simon make clear that the values of the political left, even in the consciousness of supporters, are incompatible with those of the FN. Support for the left is all the more decisive among the less xenophobic and authoritarian of those polled. The same goes for the level of politicization and acceptance of democratic forms of public life. A section of this group are the “proud rebels” who still possess class consciousness and have withstood workplace relocations and shutdowns in a few remaining bastions of Fordist industry. It is clear that within the “classe populaire” voter abstention has been increasing. But who are these non-voters, and which social-political attitudes can best characterize them? The first group to catch the eye are the precarious – a social group in France that has been increasingly accused of being susceptible to the siren songs of the FN and who are quite heavily concentrated in the banlieues. They are often dependent on state benefits, which nonetheless do not suffice for survival. Significant portions of the precariously employed are young people. Many are dependent on an option that came into existence in 2008 for an “augmentation,” that is to say, to apply for supplements to their incomes via a newly established basic allowance provision. Yet not everyone possesses this right to benefits, which leads to conflicts among the poor. Indeed, at around 30 per cent of GDP, social spending in France is still relatively high compared to the rest of Europe (circa 22 per cent). And yet, depending on various assessments, between 8 and 14 per cent of France’s population can be described as poor; hence more than six million people rely on state assistance. The renewed rise in unemployment since 2008 has led to the situation that people living in precarious conditions no longer originate solely from the working-class. To be sure, at present blue-collar workers continue to be the most affected, and the living and working conditions of 52 per cent of such workers can be described as precarious. However, the same can now also be said about the living conditions for 42 per cent of white-collar employees, 47 per cent of small business people, and 37 per cent of farmers. Recent studies accentuate a particularly high affirmation of racist and xenophobic attitudes especially among the precarious. Yet these are not culturally and intellectually shaped, instead they are embedded in, and are the results of purely economic and social conflicts, which lie at the forefront. Hence, understandably, the critique of the growing gap between the rich and the poor is at the centre. However, a conflict pervades the precarious milieu that plays out between those employed in the low-wage sector who earn too much to be eligible for state support, and the unemployed. The latter are subjected to the rebuke that by not working they enjoy the advantages provided by the welfare state, while the former are not adequately appreciated for their efforts to escape poverty. It is a conflict between two socioeconomically very close groups that is accompanied with the denigration of receiving state benefits. It is telling that these groups, located on the upper end of the precariat when considered in terms of income, reveal an above average willingness to give their votes to the FN and Marine Le Pen. In contrast, the willingness to vote for the left or even the radical left rises as the level of precarity increases. As such, the thesis that radical political offerings find backing among low-income milieus cannot be completely denied. Indeed, this leads to an eroding position for the rightwing bourgeois parties, who receive less support among the precarious than the FN; while at the same time sympathies for the parties of the left dominate. Right wing attitudes do exist among workers and those within the “classe populaire.” Michelat and Simon describe this as “worker authoritarianism.” By this they mean intolerance toward minorities and an intense attachment to national identity. This correlates with a positive view of the notion of liberalism, which considerably eases the decision to vote for the FN. It is clear that ethnocentrism, which leads to support for the FN, does not play the same role as the critique of capitalism of the old workers’ parties. Consequently, the thesis by political scientist Florent Gougou that the younger rather apolitical worker milieus support the FN for the same reason their parents and grandparents’ generation supported the PCF, appears more than questionable. A change in the motivations to vote for the right has hence not occurred. Like the rightwing radicalized “proletarians” of the traditional right mentioned by Gougou, these groups are likewise oriented toward advancement – they want to become technicians, foremen or senior managers. Even in 1978, at a time when the political left still appeared to dominate the labour movement, 32 per cent of workers surveyed admitted to harbouring the dream of opening their own small business and wanting to leave the “worker’s life” behind them. Nevertheless, there are entire regions that lean strongly toward the right despite having a high proportion of workers. Here, in contrast to the old strongholds of the left, voter participation is sometimes even above average. An example is the industrial region of La Riboire. Here, since the turn of the century candidates for the rightwing parties (UMP and FN) obtain above average results in elections. Jean-Marie Le Pen scored 30 per cent here in 2002, while his daughter in 2012 claimed 32 per cent of the votes – with a voter participation rate that actually stood at 88 per cent in some districts. In the second round of the 2007 election Nicolas Sarkozy won 73 per cent of the votes here. Relatively unnoticed has been the proportion of rural regions where the concentration of workers has significantly increased. Indeed, one should not ignore the many old municipal “Islands” dominated by the left, like the steel industry towns in Lorraine that are surrounded by rural areas. Many large corporations (Danone, Louis Vuitton, Sanofi etc.) are now establishing production facilities exclusively outside of cities. Those belonging to the “rural worker milieu” employed here do so in small manufacturing firms and are usually homeowners. Since the 1980s the region of La Riboire has experienced the emergence of an elevated working-class. Whereas the proportion of unskilled workers between 1982 and 1999 sank from 23 to 18 per cent, the share of technical workers and supervisory staff rose from 9 per cent in 1982 to 18 per cent in 1999; to the point where the share of skilled labour remains stable at 30 per cent. At the same time high unemployment is not characteristic of this region. In 2011 some 3 700 permanent employees and 1000 to 2000 temporary workers were employed here in more than 100 firms. Branch factories of large corporations, as well as small and medium firms, which act as suppliers, located to this region. These new industrial parks in the hinterlands of the large cities, such as La Riboire, arose in the 1980s to circumvent the “fortresses of the working-class,” and are characterized by a rupture with traditional workers’ organizations. Characteristic of this was the use of outsourcing and the differentiation of labour relations. Due to the rightwing socialization of the rural population in La Riboire, leftwing organizations could never take hold. In contrast, rightwing liberal forces have always dominated, who also pushed for the establishment of industrial parks. With the dominance of small and medium-sized production facilities of larger corporations, which are complemented by family firms, La Riboire is also characterized by a tight network of relationships on the employee and management/owner levels. As a result, not only do perceived flat hierarchies emerge, which make faster social advancement within firms seem possible, but in particular, an identification occurs among workers with the goals and outlooks of the owners. Workers from La Riboire hence largely accept the viewpoint that the competitiveness of their firms has priority. This “closeness” to the owners goes with a preference for the “family business” as the optimal form of enterprise. It is especially here that workers in La Riboire see the possibility that their willingness to work and their corresponding engagement will be recognized and accordingly rewarded with advancement in the firm. In line with this, the willingness to contribute beyond the minimum within the firm is also common. Such individualization of occupational careers cannot but be difficult to align with the political demands of trade unions and left parties. Trade union activities in workplaces based on conflict and the limitation of management’s prerogatives would be seen as a risk for one’s advancement. Those for whom this conduct pays off accordingly reject the notion that unemployment is a societal problem. 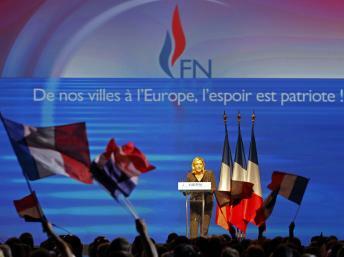 In this setting, where the insistence on hard work is seen as the basis of one’s existence and is accompanied with the rejection of an “excessive welfare state,” the political slogans of the FN find a sympathetic ear among many. The wish for further social and economic advancement is common to all these households; as well as the hope perhaps some day to be able to work “for one’s own account” and open a business, as some have already managed. Those who succeeded at this subsequently come to share the classical values of small business. Though they are on the way to climbing economically into the middle strata, they differentiate themselves from the urban middle strata in one central aspect: the irrelevant roll that educational titles play in the consciousness of these workers. While members of the urban middle strata desire a long period of education in order to strive for (allegedly) secure jobs with their acquired educational capital, above all in the public sector, the workers of La Riboire remain limited to the acquisition of technical know-how offered them by the local firms. The hopes to be able to maintain and eventually raise their living standards, is thus directly connected with the future of La Riboire as a production location. Several points can be ascertained. On first sight it seems that in the last 20 years a massive shift to the right has taken place within the working-class. Yet if one examines the development closer it becomes apparent that such a blanket assertion is wrong. On the contrary, a “demobilization” of leftwing voters can be discerned, which is linked to the deep crisis of the old Fordist industrial structure. Thus the political left along with the trade unions have been put on the defensive after the break up of the large industrial complexes that were the basis of their strengths; with this goes the disillusionment of many formerly active party and trade union members. This becomes clear from the above average voter abstention in the old leftwing (PCF) strongholds, but not from a high proportion of votes for the FN. For worker milieus socialized by the right, above all in the regions that had been untouched by the labour movement, and who do not share the codex of leftwing values, a vote for the FN is not a break with their previous consciousness. Here they share the central (petty-bourgeois) programmatic contents of the FN, and support a national capitalism that is regulated by means of “cooperative relationships” between labour and capital. In sum, in addition to the doubtless required debate on the effects of the neoliberal penetration of the world of work, strong working-class support for the FN must also always be examined through a historical-regional approach. This article originally appeared in Junge Welt . It is adapted from Sebastian Chwala‘s recently published book Der Front National: Geschichte, Programm, Politik und Wähler [The Front National: History, Programme, Politics and Voters] by PapyRossa Verlag. Translation from German by Sam Putinja.